Glucosamine is an essential substrate for the formation of glycosaminoglycans (GAGs) and proteoglycans, which are the main components of cartilage tissue. GAGs and proteoglycans trap and hold water, forming a dense fluid cushion within the joint and thus, provide lubrication and shock absorption. MSM (Methylsulfonylmethane) is a natural source of organic sulfur, a mineral necessary for the production of proteoglycans. 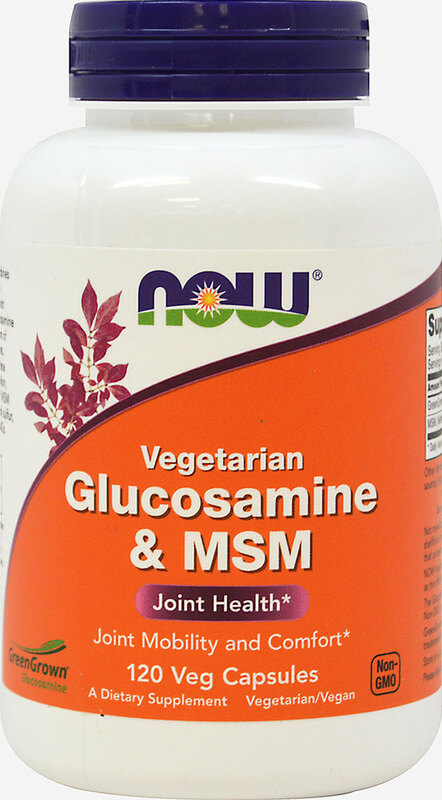 ** NOW’s unique and synergistic formula is suitable for vegetarians, because it contains only Glucosamine from a vegetarian source and not from shellfish.